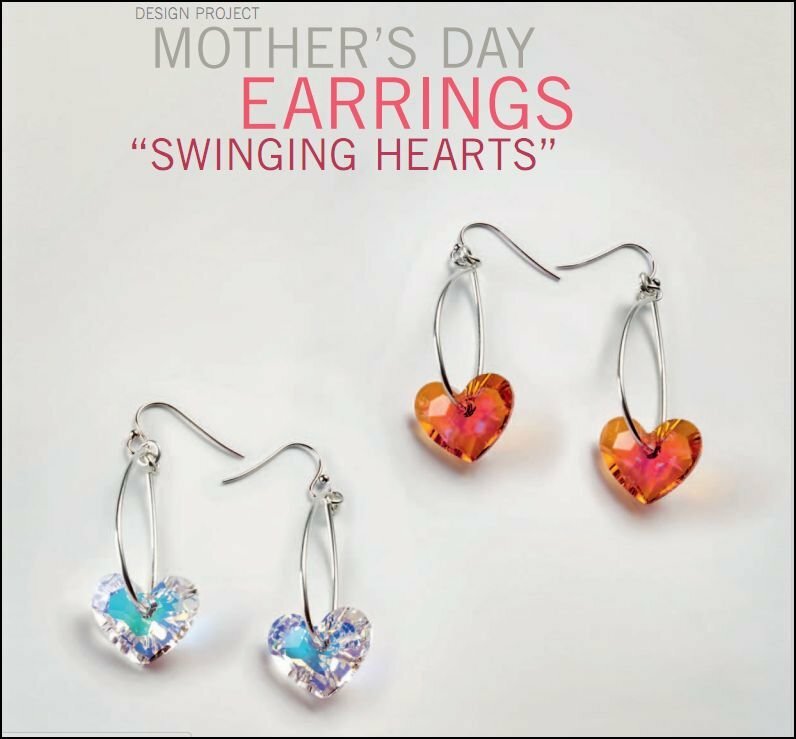 Being that mother’s day is just around the corner. There’s still time to create something beautiful and personally made for your mom. 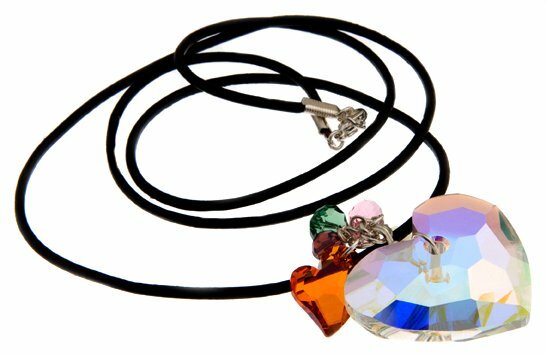 SWAROVSKI ELEMENTS, has come up with 3 fun designs featuring the new Designer Edition Hearts designed by Manish Arora. 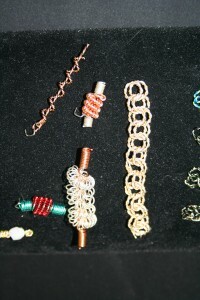 These designs are easy and fun. 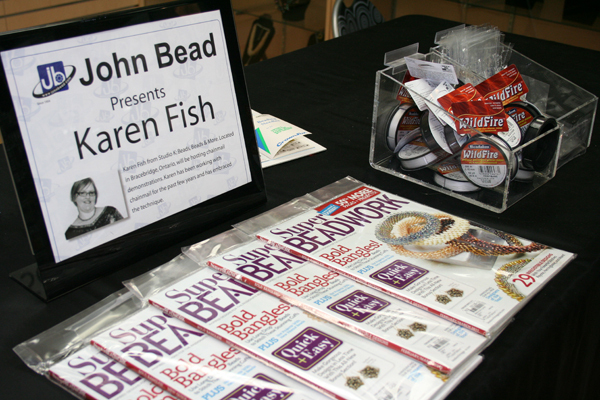 The step by step instructions make it great for any level of jewellery designer and of course, find everything you need to make these designs at John Bead or one of our recommended retail stores. 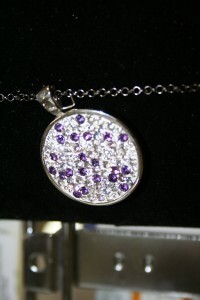 To customize add whatever color beads and small pendants your mother likes for her own “Drops of Love” necklace. 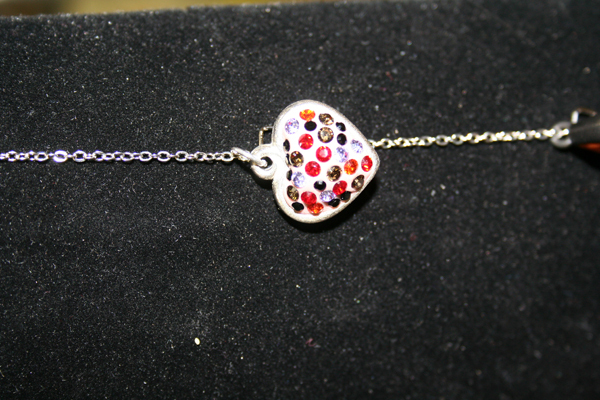 The Miss U Heart is the Perfect Fancy Stone to fit into the “Bead Your Own Bracelet” style bracelets and necklaces as shown in the “Love Charms” bracelet. 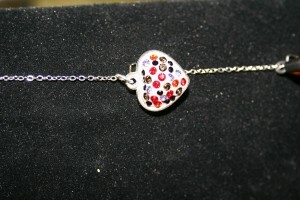 It’s similar to the Pandora style bracelets and is available in Sterling silver! Happy Mother’s day to all you moms! 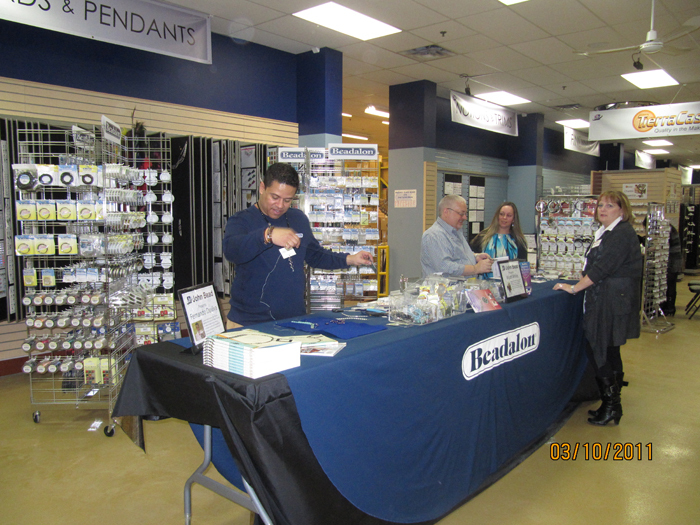 The Bead Extravaganza held March 11th to 12th was a great success ! 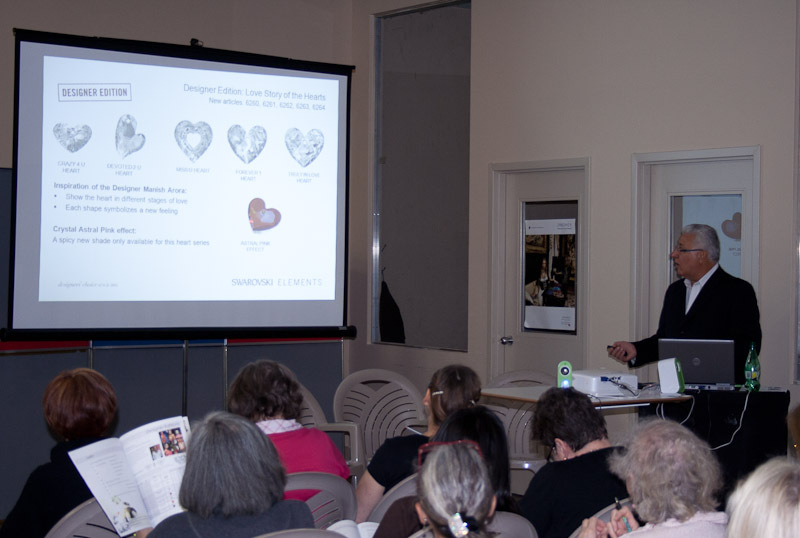 Full of demos and seminars, guests were presented with the newest season of Swarovski Elements Spring/ Summer 2012 and got a glipse into the trends for the coming year. Guests also got the chance to get a more upclose, intimate demonstration of Beadalon products, Bead stitch techniques and Crystal application techniques. 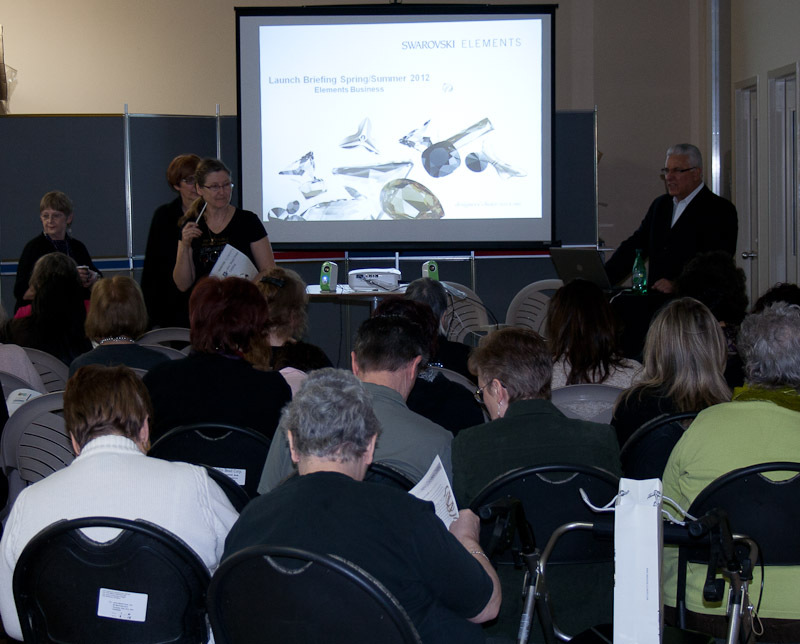 The day started out with Vince Scalera introducing the S/S 2012 Swarovski Elements. 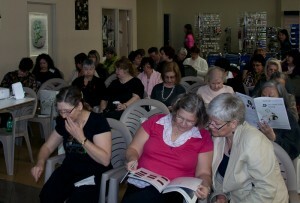 Guests received gift bags with a sample box of new products, Innovations Catalog and Trend forecast materials. New Designer Editions from Manish Arora called “Love story of the heart”. Manish is India’s most popular prolific design talent. 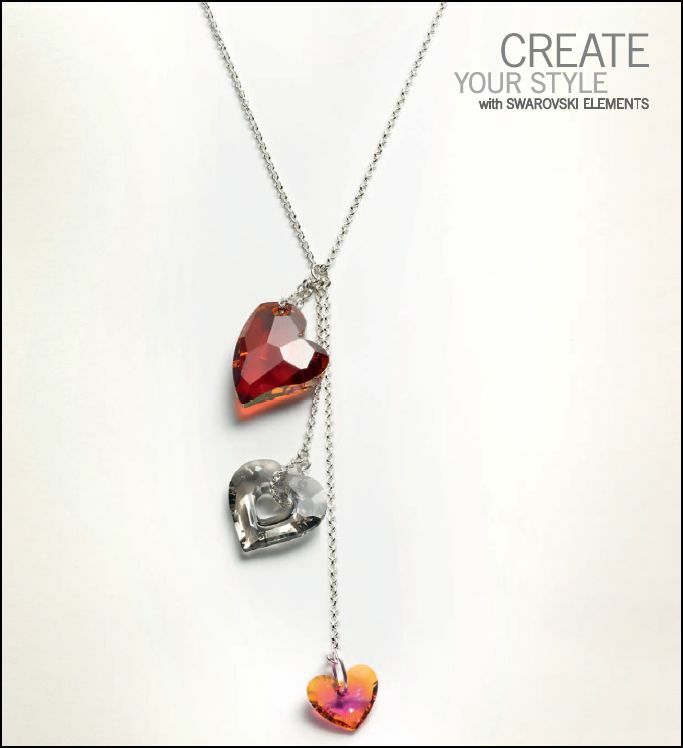 He created 5 new heart shape pendants, each one expressing one of love’s different emotional states; Crazy 4 U Heart , Devoted 2 U Heart, Forever 1 Heart , Miss U Heart and Truly in Love Heart. 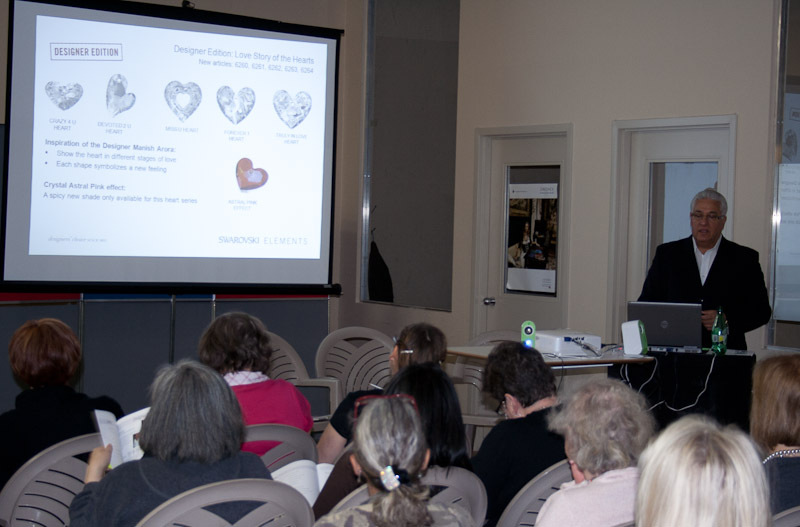 Astral Pink is the new color introduced in these heart shapes. It’s unique to this collection and to Manish Aroras collaboration. 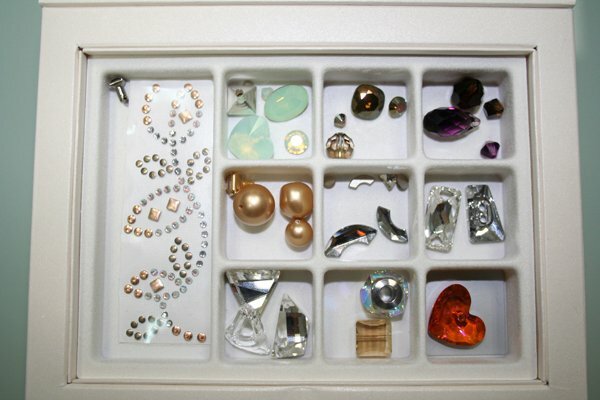 Vince then went on to New Colors and Effects ; Chrysolite Opal , Bronze Shade Crystal and Crystal Vintage Gold Pearls. Chrystolite Opal is a soft, serenley pleasing color that enhances any palette from neutrals through to deeply intense colors. It has a light ethereal edge. 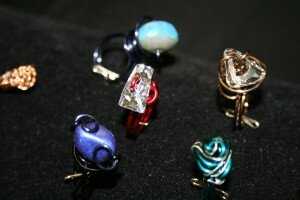 It can appear to be feminine and romantic as well as adaptable to more fashion-foward , futuristic designs. Bronze Shade Crystal is directly in tune with the strong design trend towards metallics. 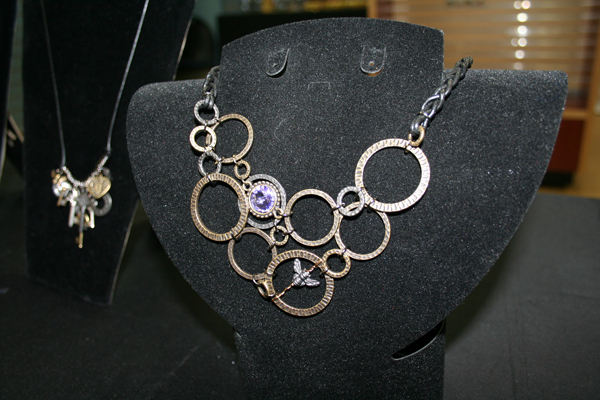 Elegant and sophisticated, it adds strength and depth to any design. It’s extremely versatile it can be used in glamour wear and compined with chain to achieve a more utilitarian look. 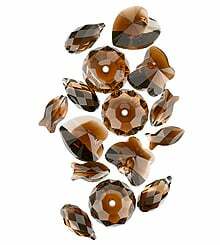 The Bronze Shade Crystal is ideal to combine with other Swarovski Element colors such as; light metallic gold, silvernight crystal, silvershade and golden shadow. 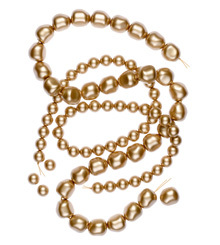 Crystal Vintage Gold Pearl is a beautiful addition to existing line of crystal pearls. 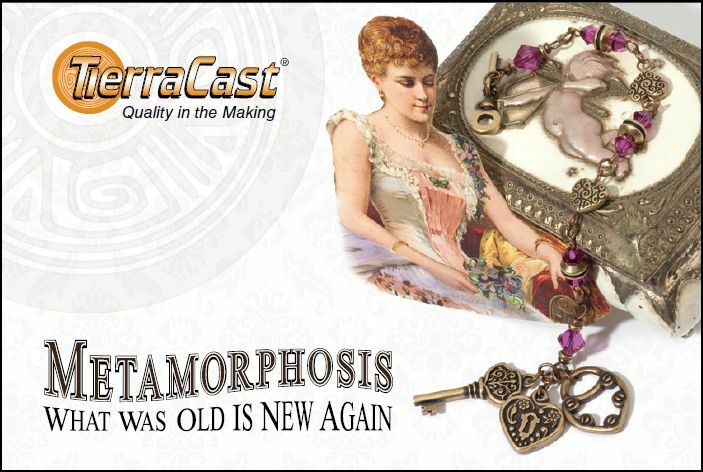 With the trend of vintage inspired clothing accesorries this softer , natural color is ideal. 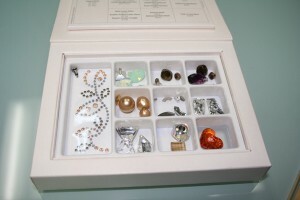 It also responds to the current and extremely strong design mood for pearl inclusion in accessories. Blends !! Blends !! Blends !!! Amethyst Blend is part of the SWAROVSKI ELEMENTS “Fusion Concepts” line. It’s the result of morphing two colors into a seamless gradient shade. 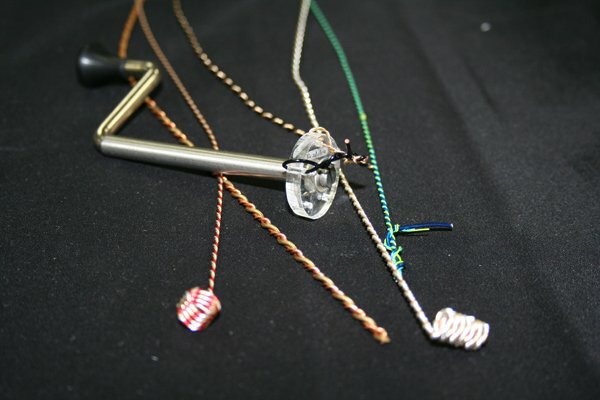 Each crystal is different and has it’s only characteristic of blend between clear crystal and color. 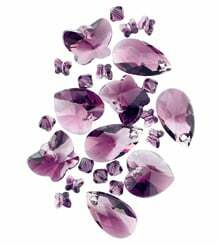 The amethyst blend is a subtle shading that extends across seasons- winter through to summer. It also suits perfectly the major trend direction for washed and fluid colors. 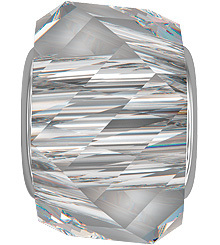 Topaz Blend is a deeply warm hue with the appeal of a Smoke Topaz crystal and a dinamic playful gradation. 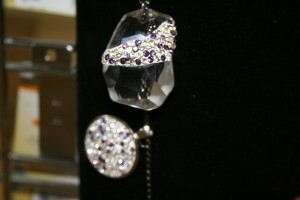 It combines elegance with sophistication . 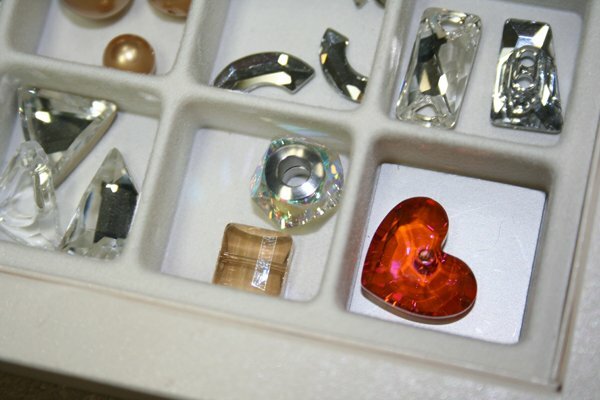 It’s also a crystal that extends across seasons of winter and summer, it offers amazing color combinations with other earth tone brown such as ; light colorado topaz, colorado topaz, smoke topaz, mocca and golden shadow crystal. 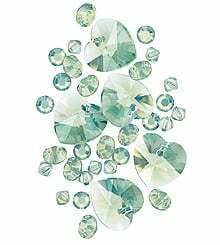 It also combines beautifully with natural greens such as khaki and olivine. 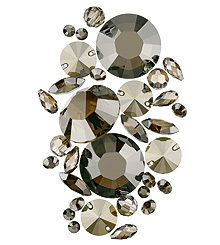 The Stairway bead is a perfect extension of classic geometric shapes in the Swarovski Elements beads assortment. 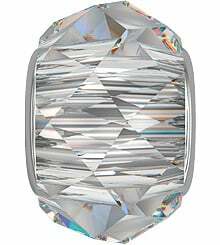 The straight and parallel cut facets are reminiscent of the staif of a glamour stairway. 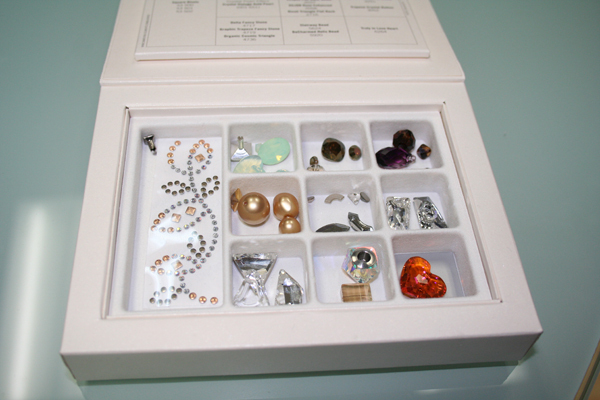 Due to its rectangular shape, oher elements aligh edge to edge and allow for compact designs and is easily combined with other shaped beads. 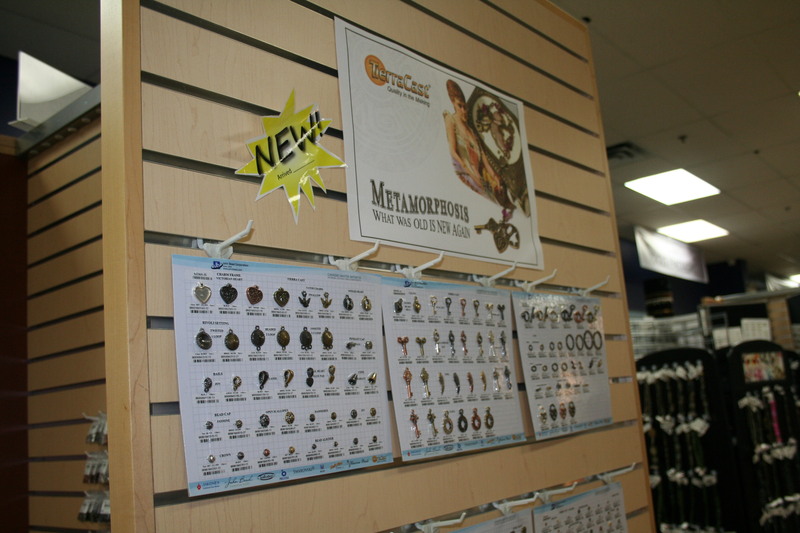 The bead is featured in two sizes; 10mm & 14mm and 10 colors and 5 effects. 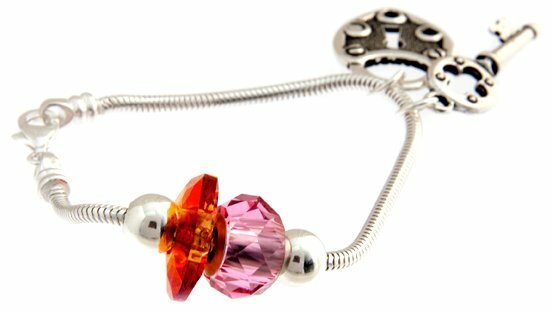 Becharmed Helix Bead- Swarovski Elements collectible charm beads made with stainless steel, are the perfect addition to existing Charm Bracelet versions. 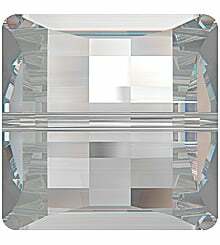 The helix cut has dynamic angular facets and appeal to a wide variety of design combinations and options. 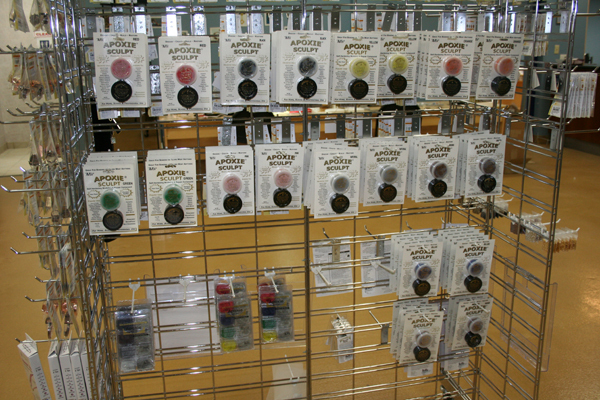 It’s featured in one size 14mm and is available in 12 colors and 6 effects. 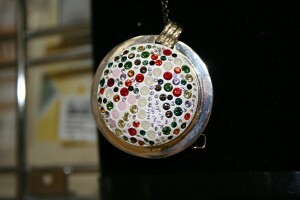 The enlarged hole allows it to cross over between jewelry and fashion items. 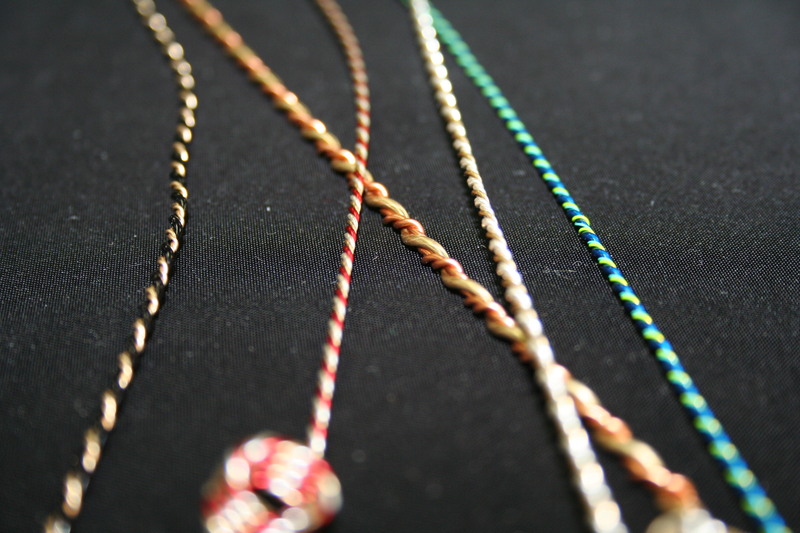 BeCharmed – Briolette Bead is a beautiful in the classic briolette shape. It’s easily combined with the Helix bead or collect all 12 colors and 6 effects. 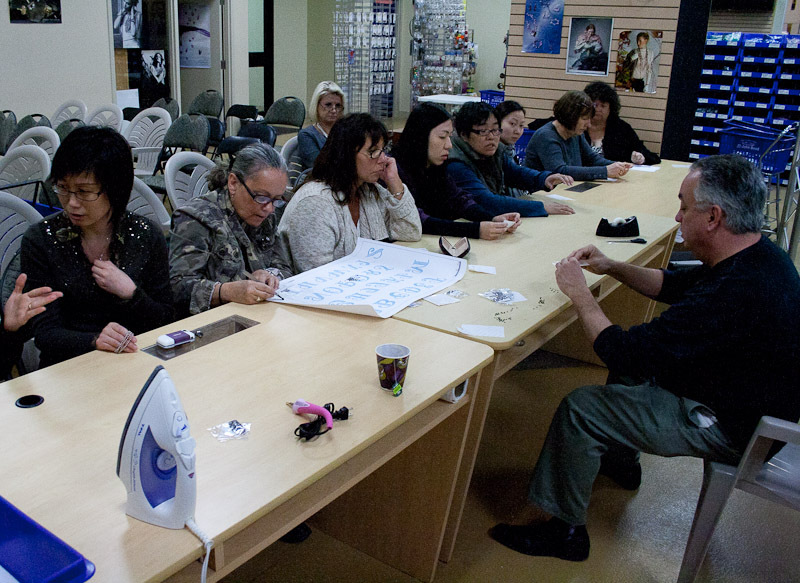 Guests participated in a make and take using Apoxie Clay and Swarovski Elements Chaton pointed back stones. Participants were really happy with how easy it was to use and the beautiful jewellery they got to take home. 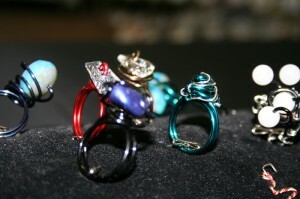 Here are a few samples of Apoxie clay and crystal work. 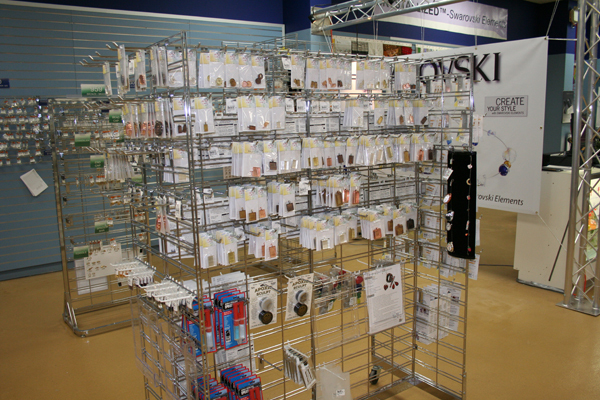 New Selection of Bezels perfect for Apoxie Clay and crystal work. 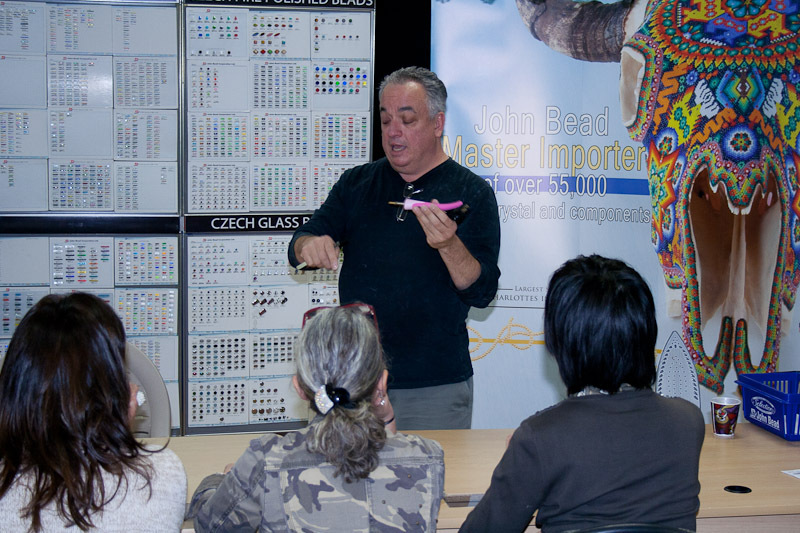 he’s here demonstrating applications with the Bejewler. 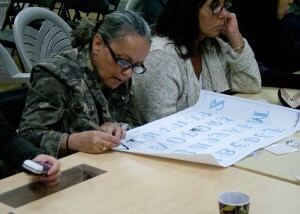 Guests using the transfer sheets to create a pattern. 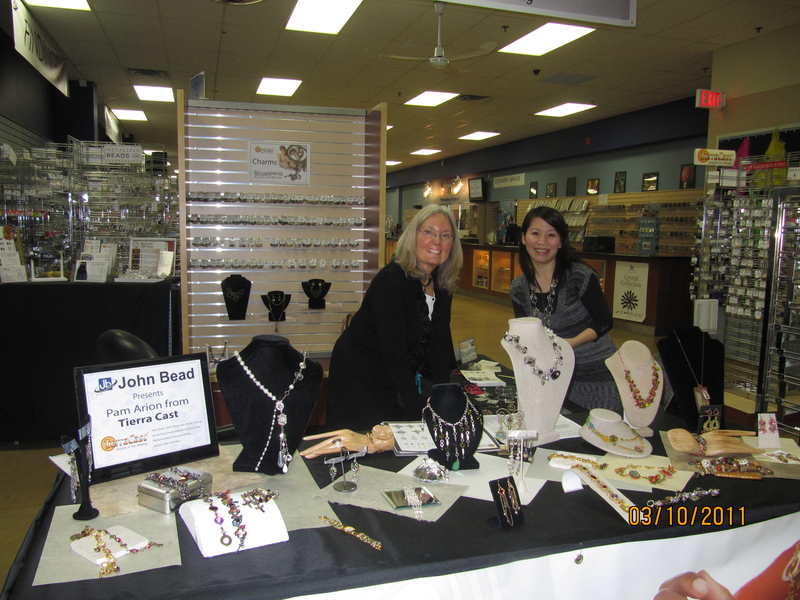 Here’s Pam Arion from Tierra Cast in her lovely booth area. 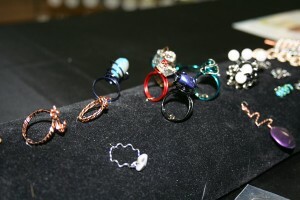 Pam did “make and takes” featuring the new Metamorphosis line. 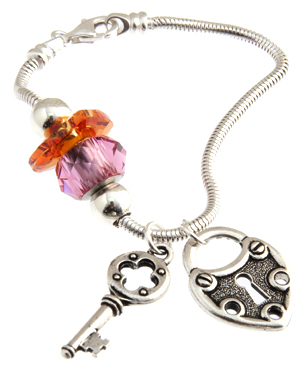 She used leather cording and guests attached charms to the clasp. 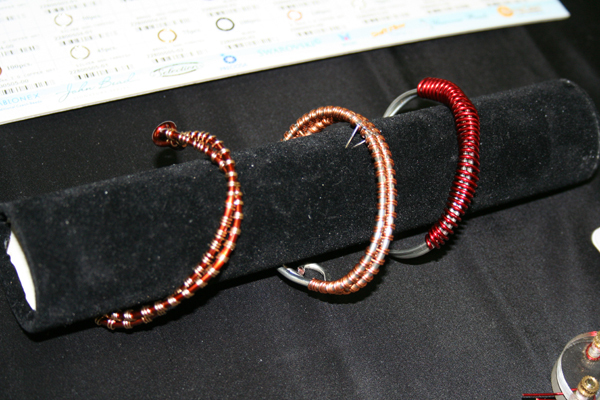 Design by Rishma Sarohai using the Metamorphosis line and the Alternatives line. 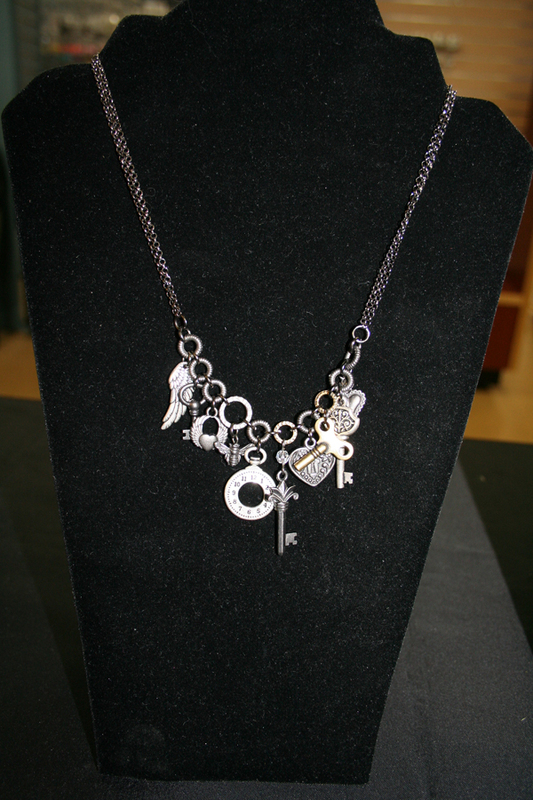 The Brass oxide and Black go very well with leather and Gunmetal chain ! 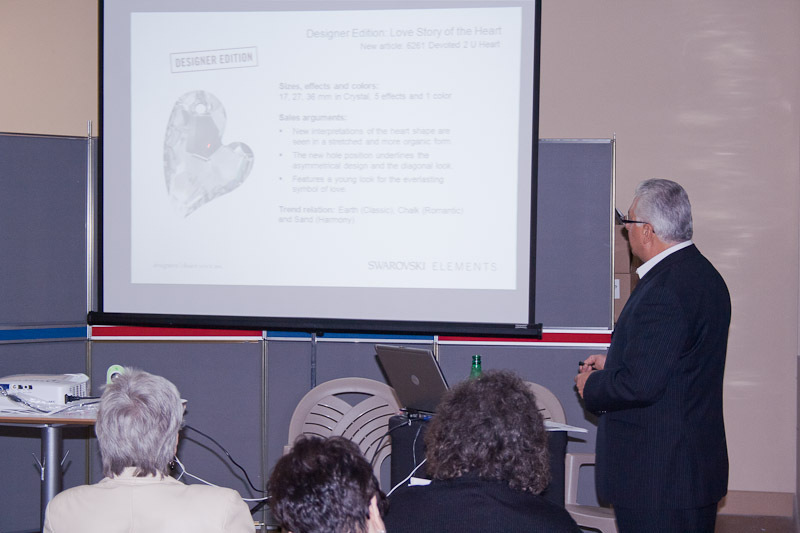 Wyatt White and Fernando Dasilva were here representing Beadalon. They did a wonderful job at demonstrating all the unique tools from Beadalon. From jump ring makers to wire twisters and chainmaille , they had it all. 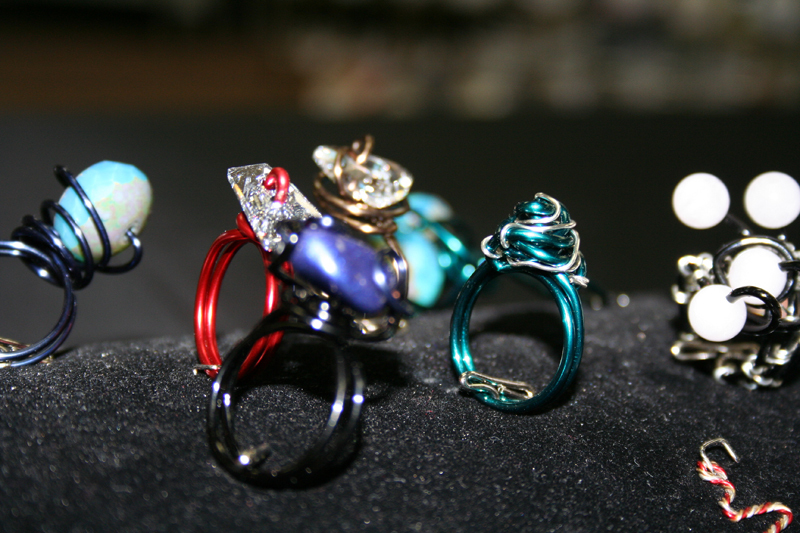 Wyatt made some beautiful rings with wire working and Fernando. 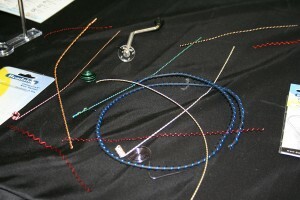 Great wiring technique using the Beadalon Wire Twister ! 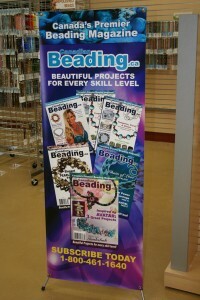 Then use the Beadalon Jumpring maker and make one of kind jumprings ! 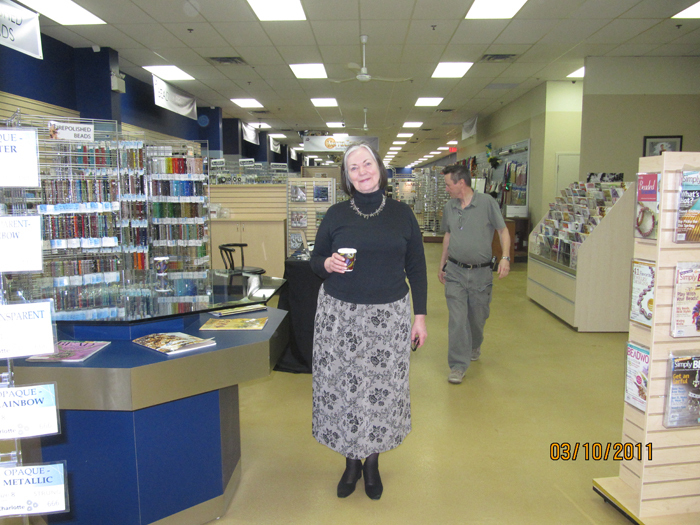 Alison Savage was here from the Canadian Beading Magazine showing guests demontrations of projects from the magazine. 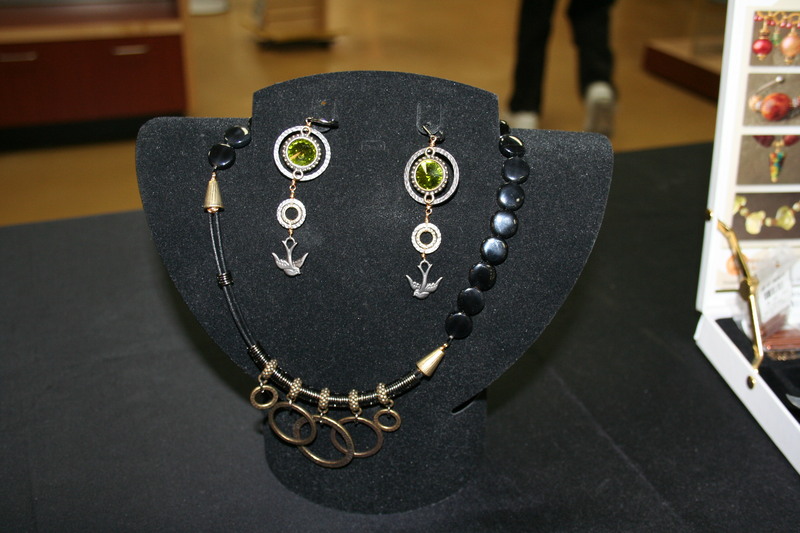 She had some beautiful design ideas using dagger glass beads and floral patterns. 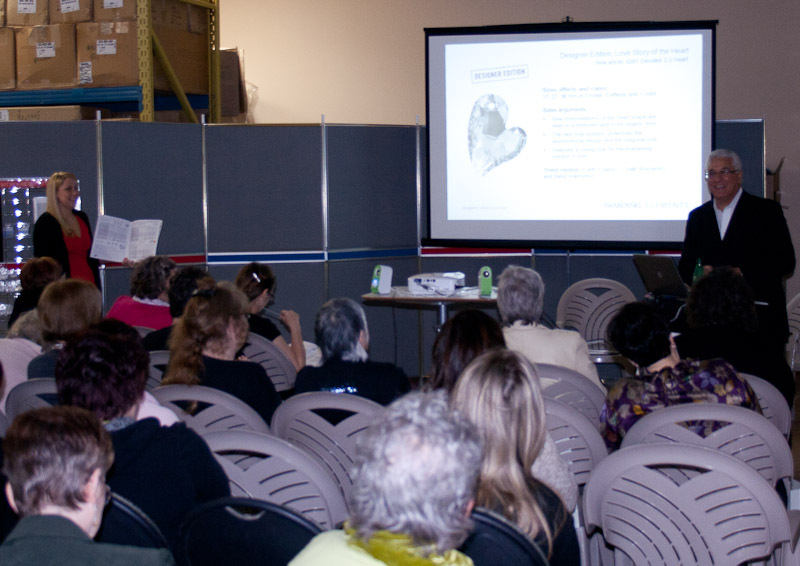 Karen Fish a bead store owner and designer from Bracebridge was presenting bead stitching tecnhique. 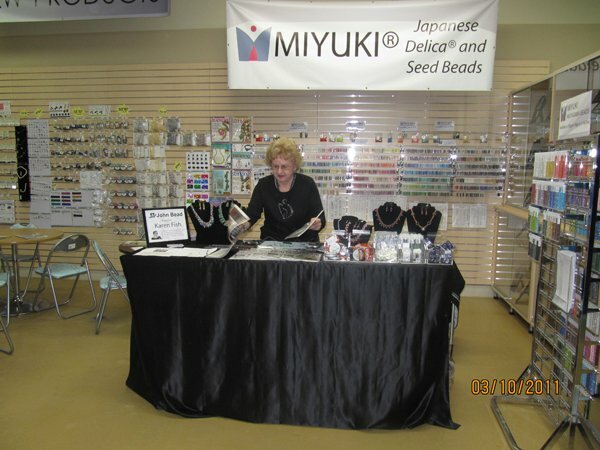 She created the Dragon bangles from the new BeadWork magazine as well as showcases a variety of uses for Miyuki Tila beads, Cube beads and Magatamas. Here’s Karens mom in her booth area. 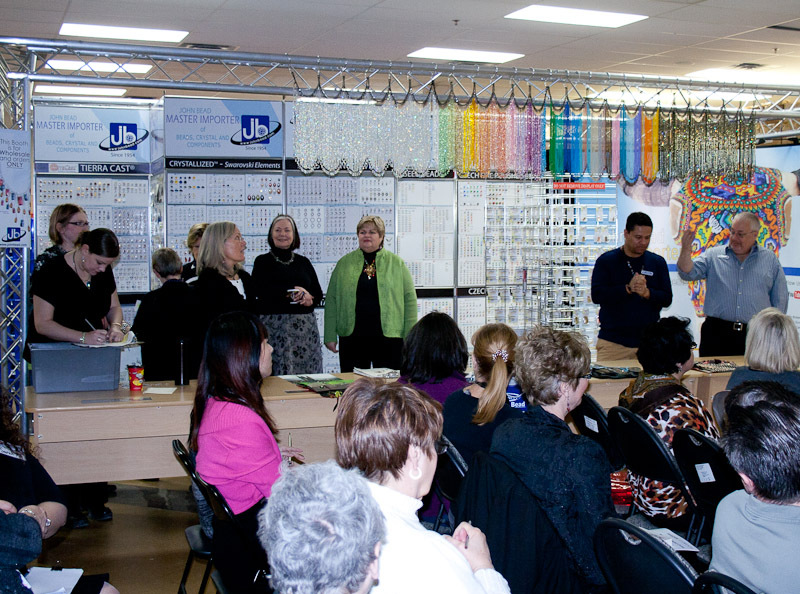 Thank you all Guests and Representatives for a Successful BeadExtravaganza !! 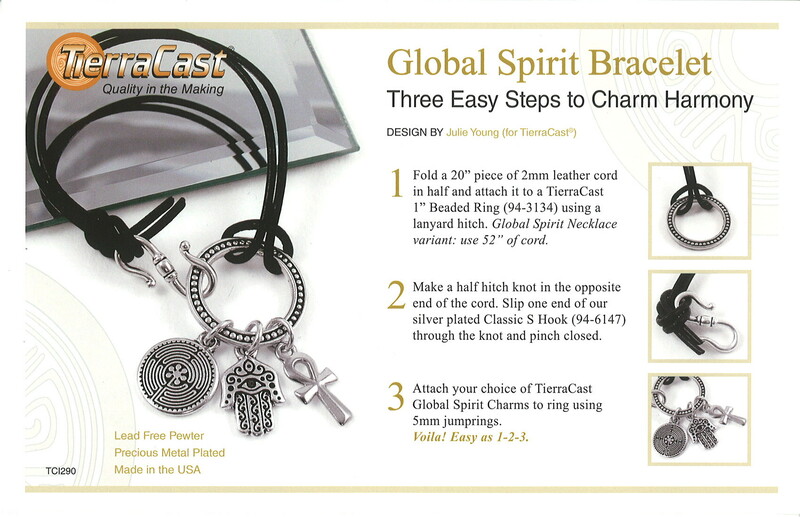 Author adminPosted on March 22, 2011 November 24, 2011 Categories News, SWAROVSKI Innovations, TierraCastLeave a comment on Bead Extravaganza 2011 ! !